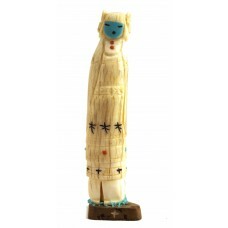 Corn maiden carved from antler with turquoise face and coral and black accents. 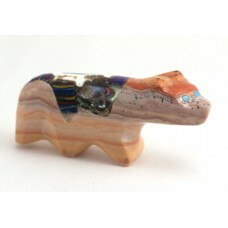 Measures 4 in x..
ONLINE EXCLUSIVEBear with multiple stones inlaid on back. 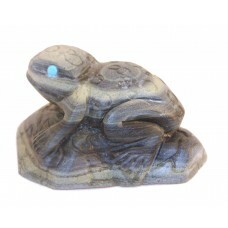 Dolomite with shell, rainbow rock, a..
Frog perched on a rock, carved from serpentine.Measures 1.5 in x 2 in Michael Coble, carver. 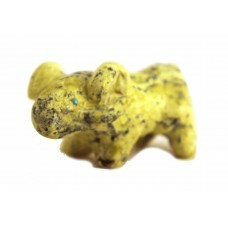 Zu..
Zuni.Dimensions: 2 x 3 in..
Ram fetish carving from serpentine.. 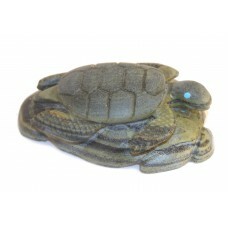 Turtle on a rock, carved from serpentineMeasures 3 in x 1 in Michael Coble, carver. 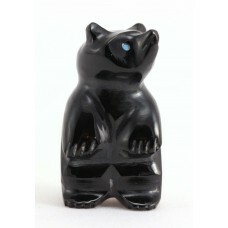 Zuni..
ONLINE EXCLUSIVEStanding black bear of onyx with turquoise eyes. Measures 2 in H x 1 in W.&nbs.. 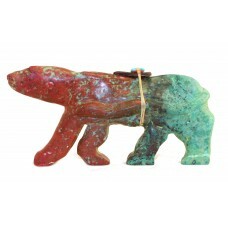 Walking mountain lion with arrowhead bundle. 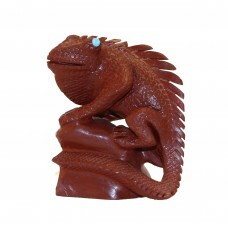 Carved from Sonoran stone. Measures 5 in x ..